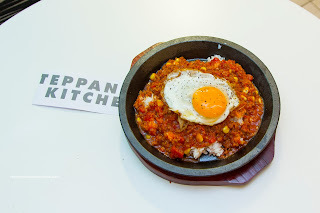 After an epic 13-item tasting at the new location of Pepper Lunch on Cambie, we were to embark on another sizzling cast iron adventure at the newly opened Teppan Kitchen in the Harbour Centre food court. This time around, it was a ChineseBites event with more people to help us eat the barrage of food coming our way. In addition to the food court vs. full-service restaurant difference, Teppan Kitchen also offers up various Malaysian dishes as well as iced beverages. 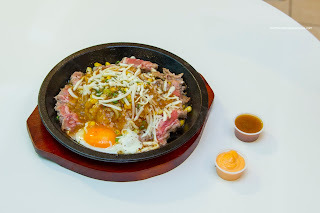 In terms of food, we kicked things off with the "A" Grade Rib Eye Beef Teppan Rice that wasn't all-that-sizzling. I inquired about this and normally, the cast iron plate would be hotter. As a result, the meat was a bit chewy without the benefit of any caramelization. Also, the rice stayed rather wet rather than becoming nutty and chewy. There was plenty of garlickiness that was further amped by the addition of sauce (at our own discretion). Of course the sweet corn added both flavour and texture, while the mozzarella cheese was definitely interesting. In contrast to the beef, the Citrus Grilled Pork Cheek Teppan Rice was the beneficiary of a proper sear. Hence, there was some crispiness to go with the bouncy texture of the cheek. Although the rice had a chance to caramelize, it was still a bit soggy. Again, there was not absence of garlickiness and cheesiness. 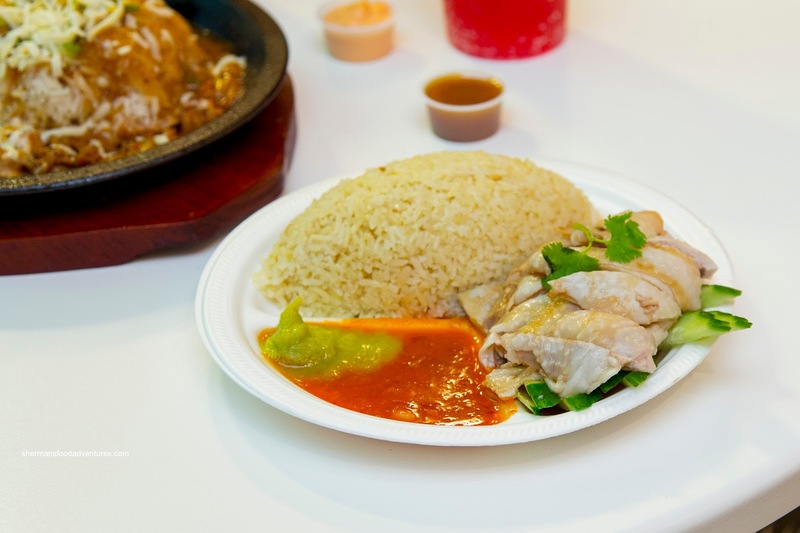 Onto a Malay offering, we had the Hainanese Chicken with the usual chicken oil rice, ginger green onion condiment and sweet chili sauce. We found the chicken to be a little overdone while the skin was not properly gelatinzed. With that being said, it was still very acceptable as it was meaty and not dry. When dipped into the sauces, there was no absence of flavour nor eating enjoyment. As for the rice, it was nutty, chewy and impactful. Moving in another direction, we had the Seafood Pasta with Tomato Sauce next. 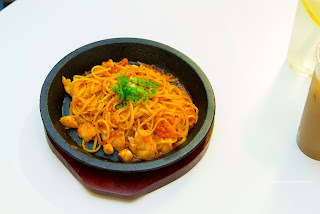 This was actually quite good with chewy noodles coated in a tangy and sweet sauce that was seafoody as well. The fish was flaky and moist while the shrimp were cold-water crunchy (albeit rather salty though). Back to another Malay offering, we had the Curry Beef Brisket with rice. Although the sauce was a bit thin, it was still decent with the aromatics from the coconut milk accented by a mild spiciness. The big chunks of brisket were fatty and generally tender while the potato did not disintegrate despite being soft. Overall, it went well with the rice, but flavours were not complex being mainly salty. 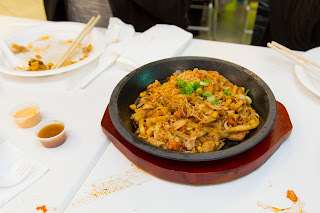 A surprisingly impactful item was the Wok Fried Udon with chicken and spicy sausage as it was dressed with a good amount of togarashi. 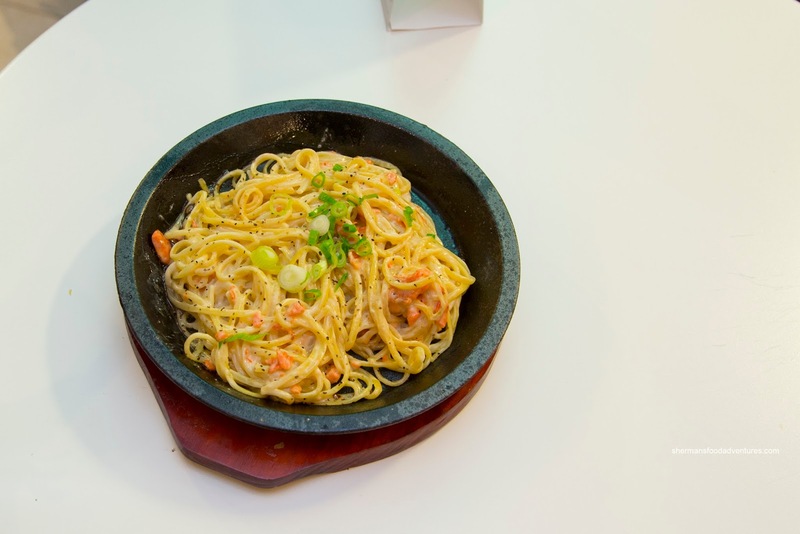 Another layer of flavour was develop by the fried shallots and garlic. There was plenty of depth and body provided by the seared sausage and chicken as well. From salty to spicy, we moved onto a dish that was far too sweet. The Smoked Salmon Pasta with citrus cream sauce was actually pretty good with seared al dente pasta that was dressed with plenty of cheese and a rich sauce. In addition, the plethora of salmon was buttery and tender despite the sear. Yet as mentioned, the dish suffered from too much sugar. 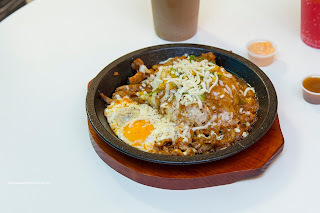 Another interesting item was the Beef Bolognese served with rice and egg. We already knew that the rice was not particularly dry to begin with and the sauce just served to make it even more wet. On the other hand, the sauce was rather appealing with a certain tart brightness complimented by an balanced savoury and sweetness. 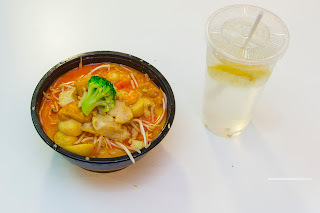 Lastly, we had the Seafood Laksa which was actually not bad, considering we were eating in a food court at a non-Malay stall. Sure the broth was rather thin, but at the same time, it wasn't devoid of flavour either. 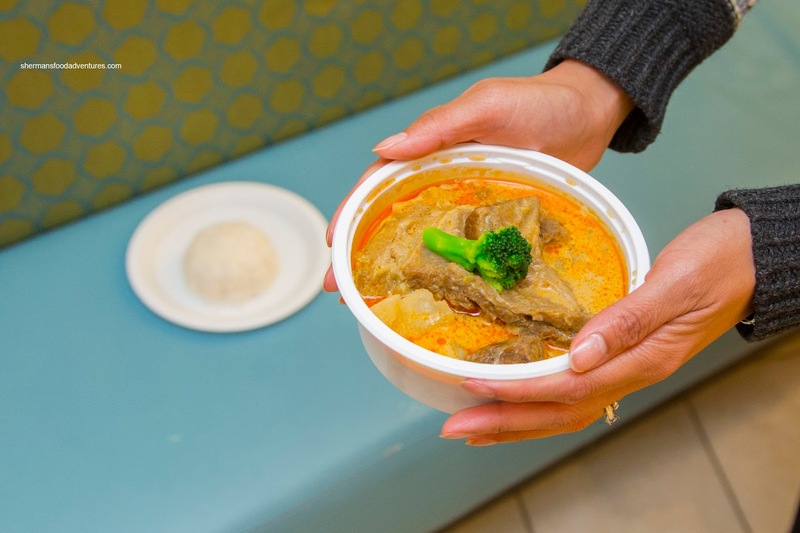 There was definitely the aromatics from the coconut milk and a moderate amount of spice. The combination of rice noodles and egg noodles were on point. I would've liked to see more seafoodiness, but this was fine for the venue. In fact, that is pretty much the summary of Teppan Kitchen. We could go on and on with the comparisons with Pepper Lunch, but it is not the same. 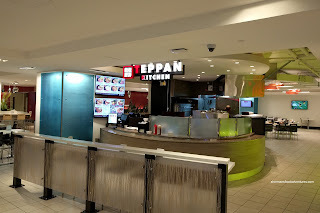 In the end, Teppan Kitchen offers up a decent quick service meal that is not hard on the wallet.